Angela Predhomme, Kathy Wieland and Judy Banker will perform a “Songwriters in the Round” show Saturday night at Crazy Wisdom in Ann Arbor. Three singer-songwriters will share two hours of acoustic tunes, tales and triumphs Saturday night at Ann Arbor’s Crazy Wisdom Bookstore and Tearoom. 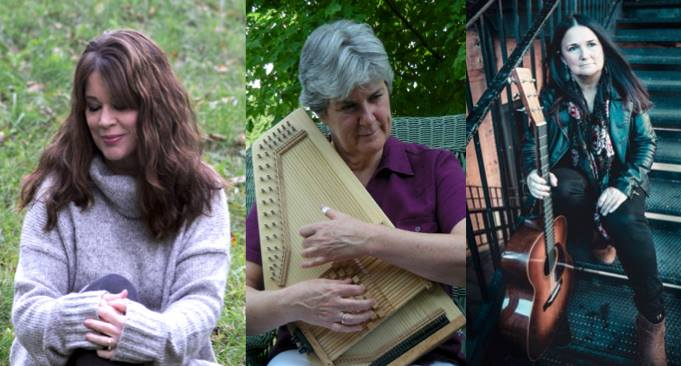 Angela Predhomme, Kathy Wieland and Judy Banker will perform as part of the “Songwriters in the Round” series and take listeners on an intimate musical journey filled with creative lyrics, catchy melodies and compelling stories. As part of the show, each singer-songwriter will perform her own material, provide insights into her music and collaborate with one another. Together, they’ll offer an invigorating blend of Americana, country, folk, soft rock and pop to uplift the musical spirit on a warm winter’s night.